Wishing all of our doxie friends a very happy and prosperous 2014, and congratulations to our raffle winners: Sara C of Dillon, SC; Krista H of Blaine, WA; Patricia O of Green Valley, AZ; Shirley T of Wells River, VT and Michael B of Huntington Beach, CA. Prizes will ship tomorrow, Thursday, Jan. 2. If you have any unique New Year’s resolutions that include your dachshunds please share in the comments below or on our DOGS Facebook page. Inquiring doxie humans want to know. 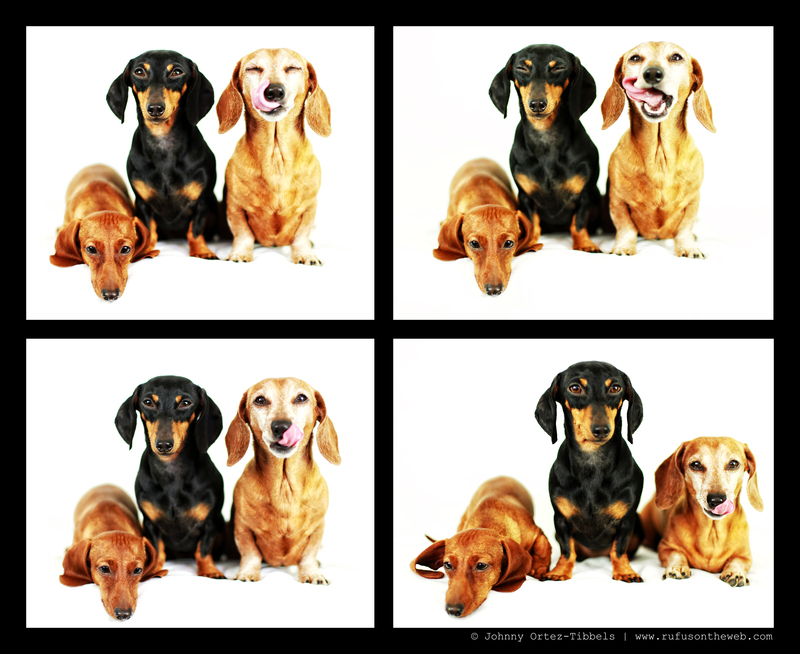 This entry was posted in Emily, Lily, Rufus and tagged #black and tan dachshund, #dachshund, #dachshund puppy, #HappyNewYear #2014, #red dachshund, #smooth dachshund, doxies. Bookmark the permalink. Thanks Johnny!!! Although I did not win it was fun watching you with Rufus, Emily & Lucy!!!! Happy New year!!!!! Just watched this now, quite excited about the watch! Loved seeing your 3!